The 2014 Annual General Meeting will be held at the Hyatt Regency Perth Grand Ballroom on Thursday 25th September at 12.30pm. In preparation for the forthcoming AGM, nominations for the Committee are now open. In accordance with the Rules of Association, each year, committee positions become vacant upon the expiration of the term of those committee members. Neil Watson and Doug Horak have indicated their interest in re-nominating. As per the Rules of the Association, should there be more nominations than the number of vacant positions a vote will be held at the Annual General Meeting. Managing and/or participating on sub-committees. Current committee portfolios include Marketing & Website, Student prizes and Scholarships, Membership. Attending and assisting with the management of WAMC events. Your nomination will be acknowledged via email. Please ensure you include the paragraph detailing why you would like to be on the committee and include a head and shoulders image of yourself. If you wish to nominate for a Committee position, you must complete a nomination form, have it proposed and seconded by a current financial member and submit it to the Secretary no later than the 12th September 2014. This form should include a brief biography and detail what you believe you can provide to the Club as a Committee member. Please note that all positions are voluntary and Committee members are expected to actively manage a portfolio within the Committee, regularly attend Committee meetings (held monthly) and assist at Club events. The term of a Committee member is for two years. Please carefully consider your ability to meaningfully contribute to the Committee and only nominate if you believe you can fulfil the duties and meet the time requirements of the position. 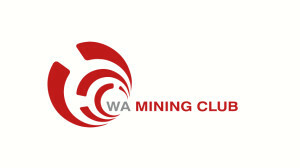 For a current listing of the WA Mining Club Committee, please click here.